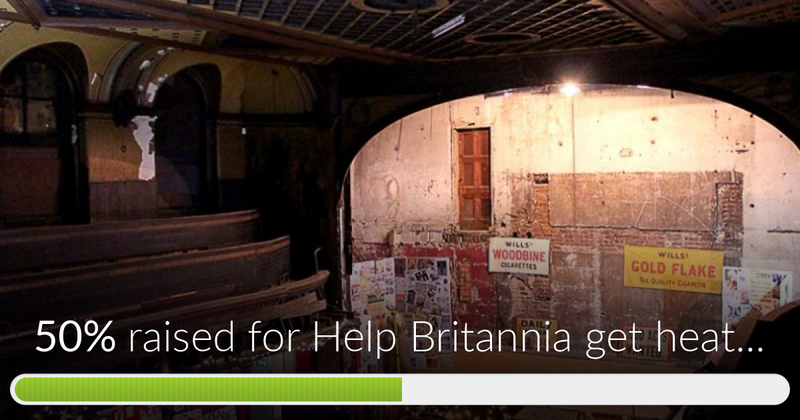 Fundraiser by Judith Bowers Mclay : Help Britannia get heating. Thank you so much for all your hard work and effort in helping us to raise over £2,240 towards our 3 phase power and heating fund. However, after a recent inspection by an engineer, we now need a full electrical survey, new distributer boards and consumer units, new supply, new cable throughout the building and then we can buy heating mats to go under the carpet and keep the people warm(er) during the winter. 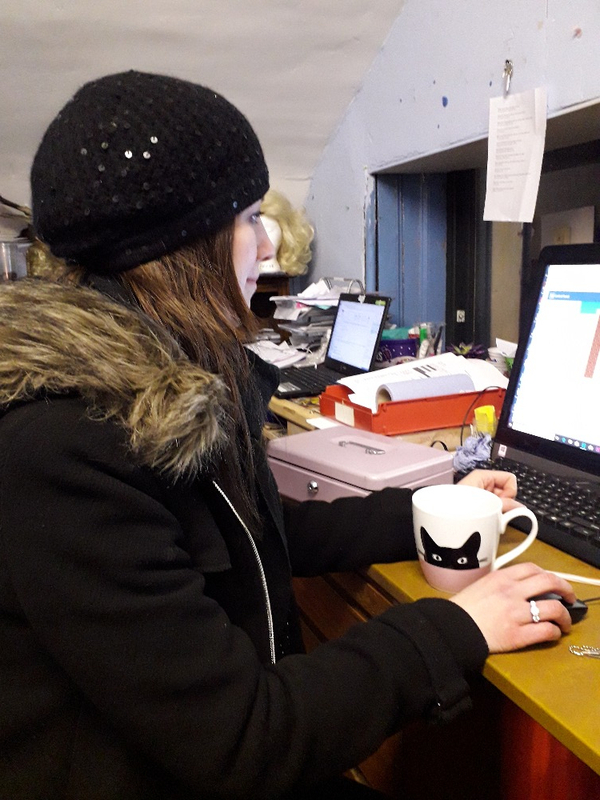 Please can you help us to raise another £10,000 towards our goal of having a warm audience, staff and volunteers without damaging the heritable fabric of the building. In this picture poor Becca hasn't taken her coat off all day in the office. Donations over £20 will recieve 10% off ticketed shows. Thank you once again for your help and support. Please keep supporting us, we'll get there in the end. The Go-Fund-Me is now at £1,790. But we still have £1,490 minimum to raise! Can we do it before the bells on 31st December? With a bit of Christmas magic maybe we can. Donations over £20 receive 10% off tickets, merchandise and at our charity shop. 77 wonderful people have donated to our cause so far and we are now just over half way to having enough money to pay for 3 phase power so we can have heating! December is promising to be very cold indeed so we hope we can encourage more of our friends and supporters to donate a few quid. December is also when we will be starting our 160th birthday celebrations of Britannia Music Hall and as a special thank you to everyone who has supported so far and everyone who supports us over December we will be giving a 10% discount voucher for tickets redeemable against shows until December 2018! Please help us get heating this winter. Help Britannia get heating. has reached 50% of its goal. Thanks to Liam, Joseph and N G.
I came in yesterday with my brother and it really touched my heart. Beautiful gem in Glasgow. A step back in time. I hope you get enough funding and wish you all the best. I walked past that building many times. My dad always told me about its past life as a music hall. Life has been good to me and I'm happy to contribute now. Hot Damn lets heat it up! If cold and damp get in, this historic building could be ruined. That shouldn't happen. With thanks to Pamela Brown for all her support over Remembrance weekend.